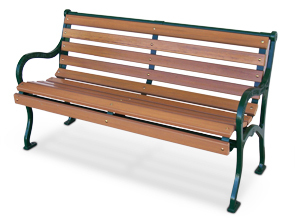 This classic style Iron Valley Slatted Bench is perfect for downtown city sidewalks, shopping centers, parks, and much more. 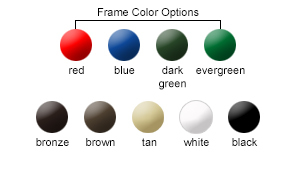 The back and seat come in a choice of either Redwood or Cedar style recycled plastic slats, and the steel frame can be powder-coated in any of the color options shown below to match your facility. The durable recycled plastic slats make this bench low-maintenance and resistant to sun damage, warping, and peeling. All Iron Valley benches come standard with end armrests (as shown), but an optional center armrest is also available to order.